It’s been the craziest time ever for Block Lotto-ing. 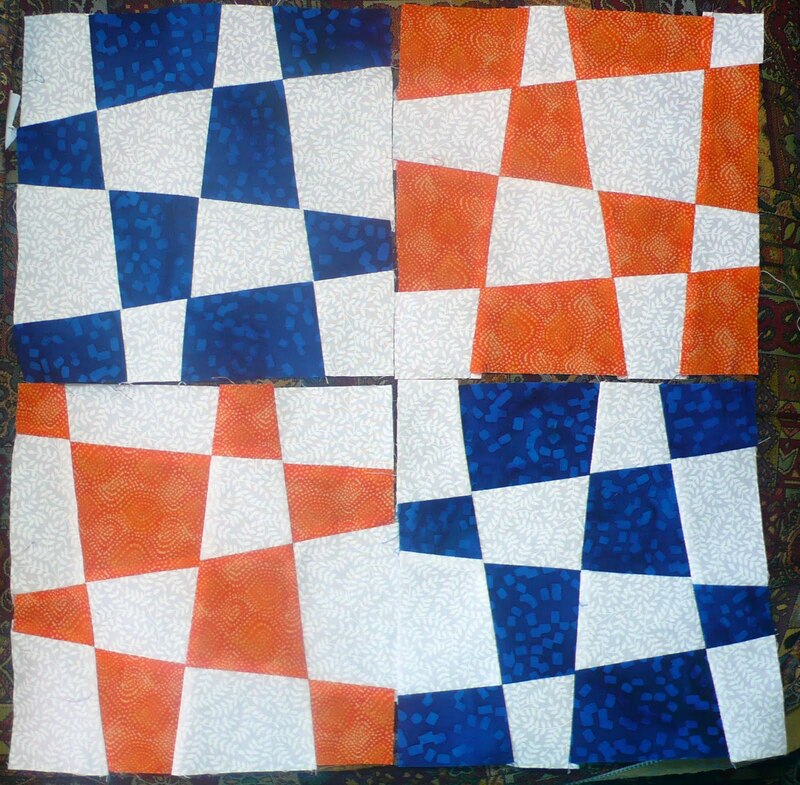 I cut out some blocks for last month and then got a herniated disk that kept me from using the sewing machine. I LOVE this block and these are the primary colors in my stash, but it has been a really busy month. This morning I was determined to take advantage of the “extra” day and get some blocks in before the deadline. My glasses broke just as got up this morning! Hoping for fewer accidents in August. I’m hoping these are OK and that Sophie can add me to the list. The blocks are fine … the only question is Which Kim made them? I'm guessing it's Kim H (in NY) because I'm thinking Kim G is in transition from Hong Kong to Alabama. Sorry Sophie. It's Kim H!